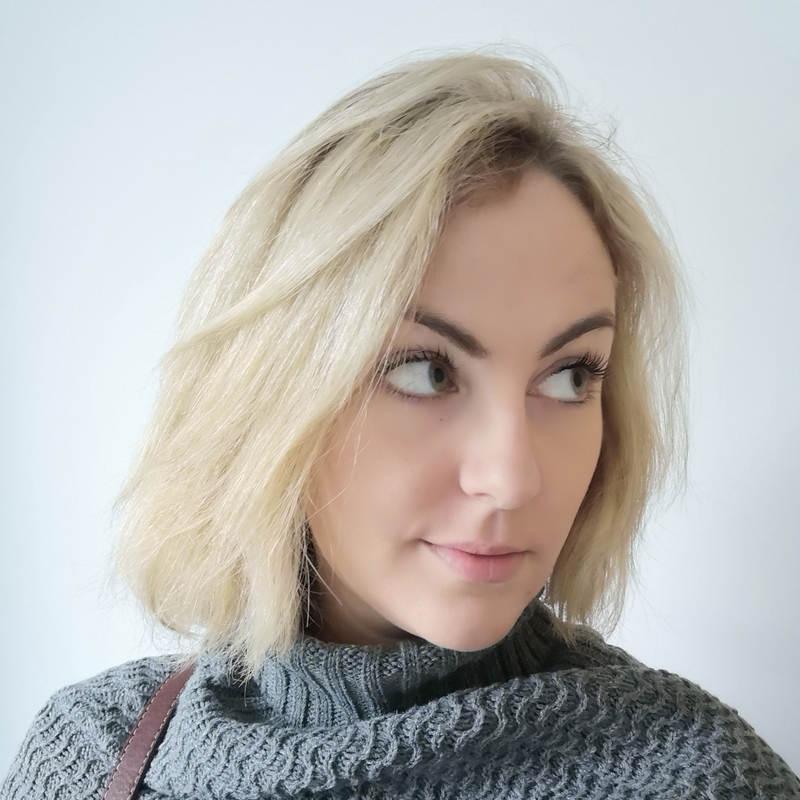 Because we never do things by halves, on the day that we returned from Bluestone, rather than going home and taking a long nap we got a ferry over to the Isle of Wight for part two of our slightly soggy British staycation (seriously, did we go on the wrong week or what?!). 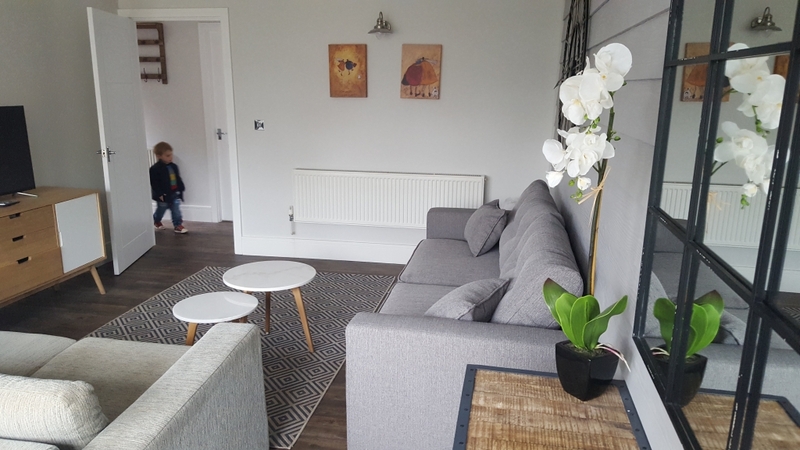 We stayed in a two bedroom cottage in Rookley Park*, an old school caravan park which is currently undergoing a facelift after being bought out by Island View Holidays and their parent company, Aria Resorts. Location wise the holiday park is pretty central and therefore not more than half an hour away from anywhere on the island. This meant it was a great base for exploring, so explore we did! 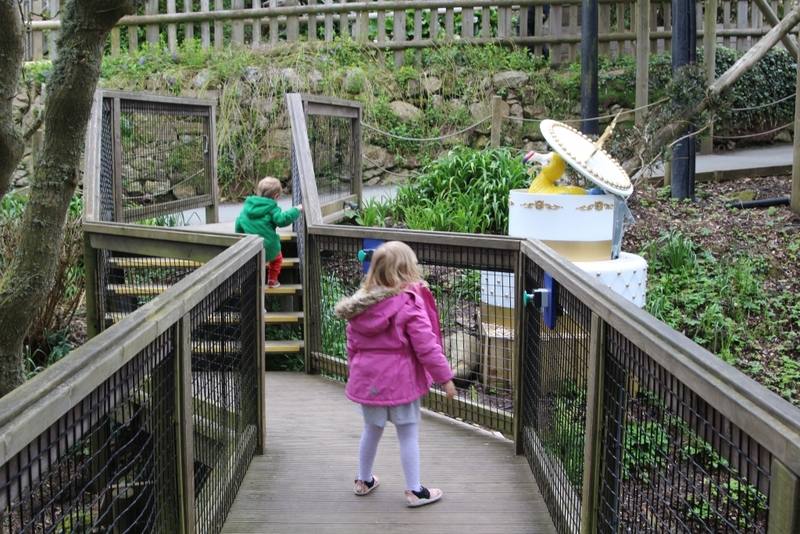 Three places to go in the Isle of Wight with preschoolers (even when the sun may not be shining). We had two dry but chilly days, and one very wet day, and here is what we got up to! 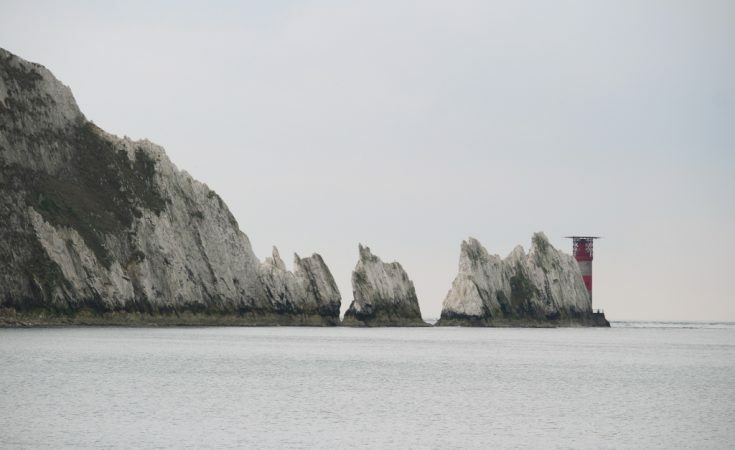 The Needles rocks and lighthouse are a world famous landmark and one of the classic Isle of Wight attractions for a sunny or dry day. If you didn’t go to the Isle of Wight as a child and come back with a test tube full of stripy sand then you clearly didn’t do it right. For this very reason, we popped down to The Needles on our first day in the Isle of Wight. 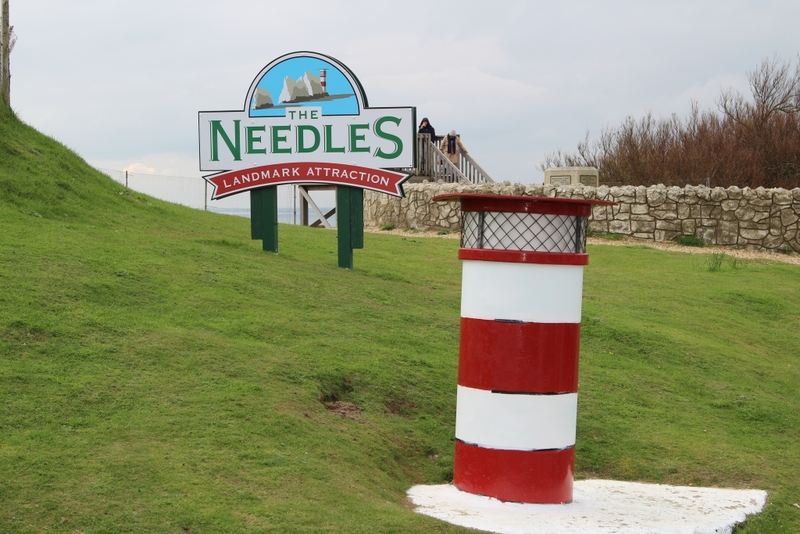 Parking costs £5 for the day but entry to The Needles amusement park is free, then you pay for the attractions you use. You do this by purchasing tokens which cost £1 each, or you can buy a book of 12 for £9. The Needles is very similar to how I remember it as a child. 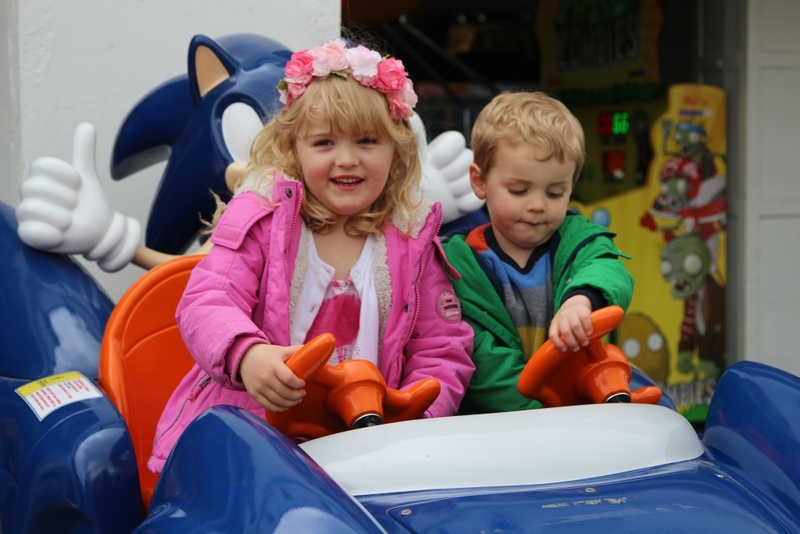 There is a restaurant serving hot food, sandwiches and snacks, The Sand Shop, amusement arcade, chairlifts, sweets, glass blowing, mini golf and a few rides; enough to keep young children entertained for a good half-day if the weather is good, less if it isn’t. 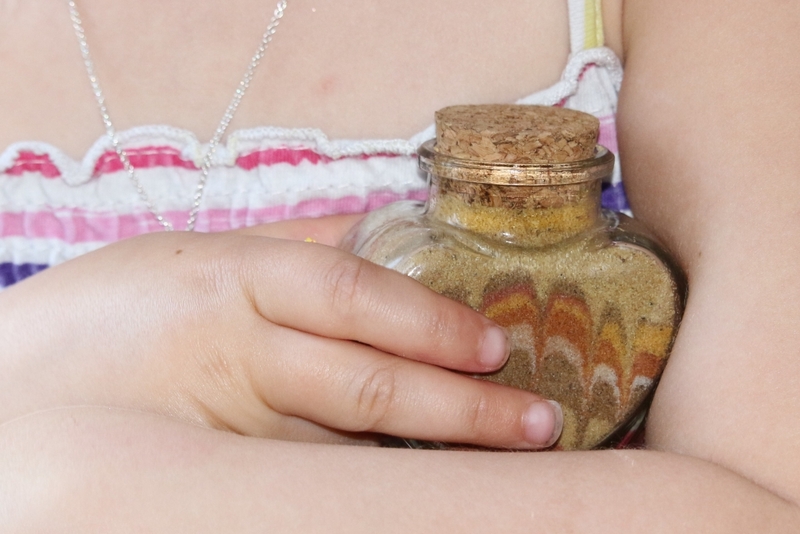 The Sand Shop is a must visit come rain or shine; for around a fiver you too can fill up your own sand ornament from an enormous selection with the different coloured sands of Alum Bay. 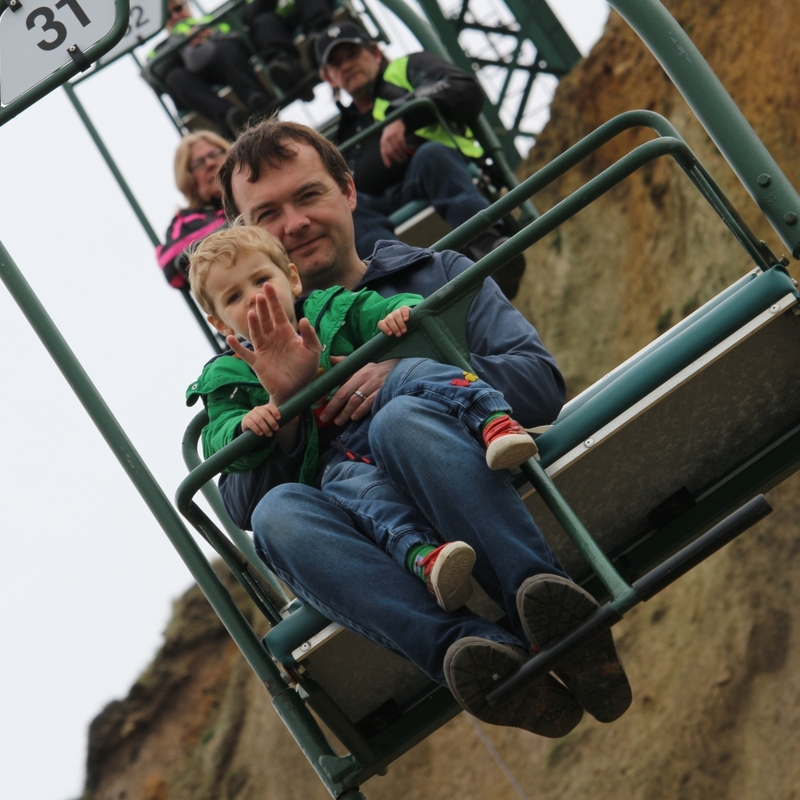 Of course you can wander down to the bay to get a good view of The Needles themselves, or you can in time-honoured tradition take the chairlift. Not one for you if you suffer from a few of heights, the kids thought it was fabulous fun and it gave a great view across the bay. Children under four have to go on your lap and backpacks on your front, which is obviously a bit of a logistical nightmare if you have both. 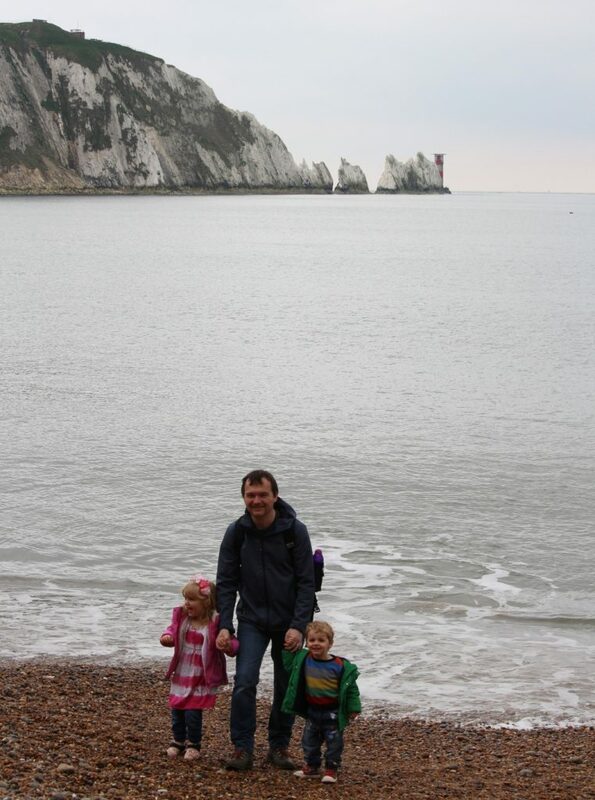 Once at the bottom you can stroll along the pebbled beach or even take a boat trip around The Needles. 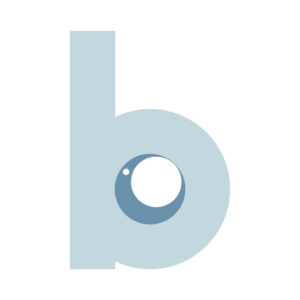 For the details, see their website here. 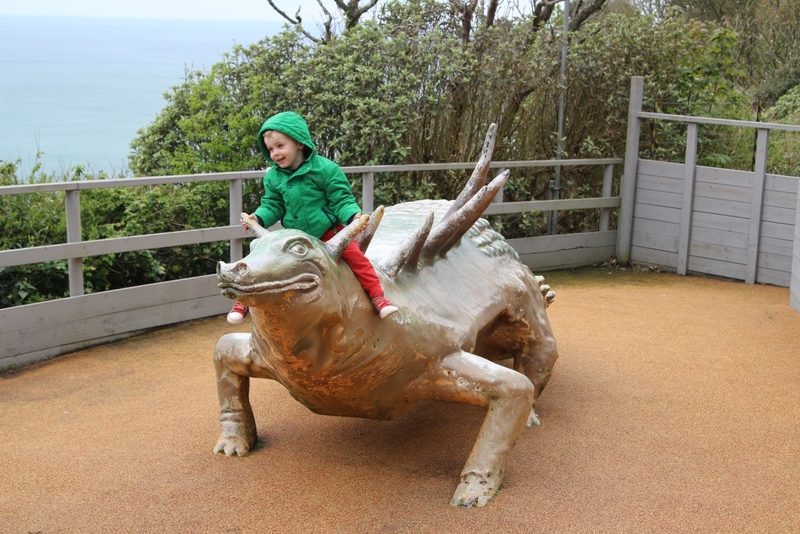 Not one for a rainy day, Blackgang Chine is an outdoor attraction with little scope to hide from the rain. Blackgang Chine is, again, something I remember from my own childhood. In many ways, it hasn’t changed at all. 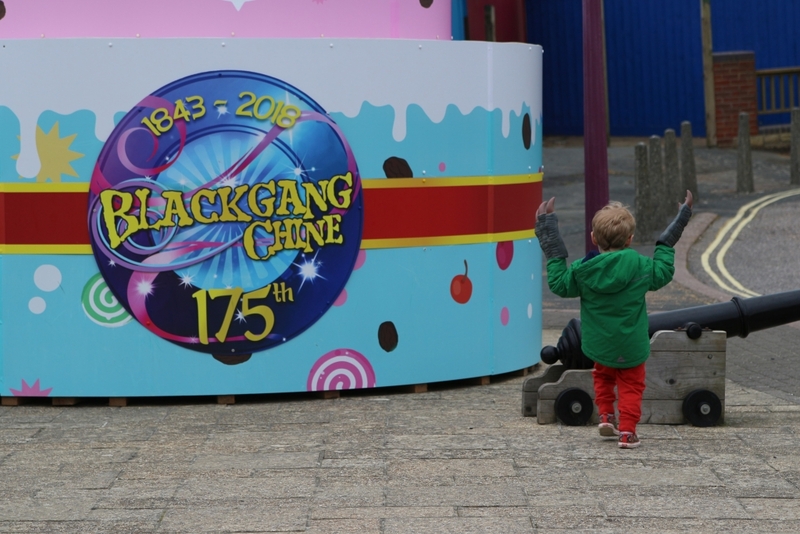 In a world where everything is interactive, Blackgang Chine is still heavily reliant on children making their own fun. Don’t let that put you off though. 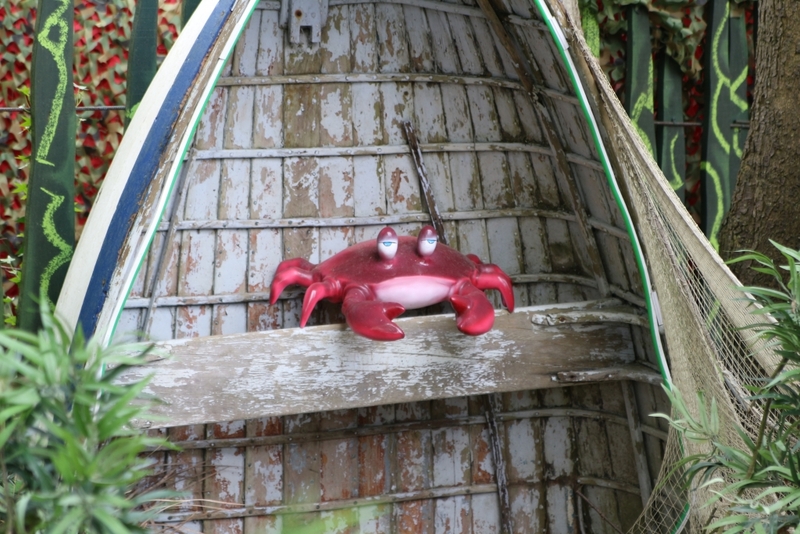 Blackgang Chine has different lands/kingdoms/towns each with a different theme. Some are older (I’m sure many of the original fibreglass figures are still there, like the dinosaur above!) 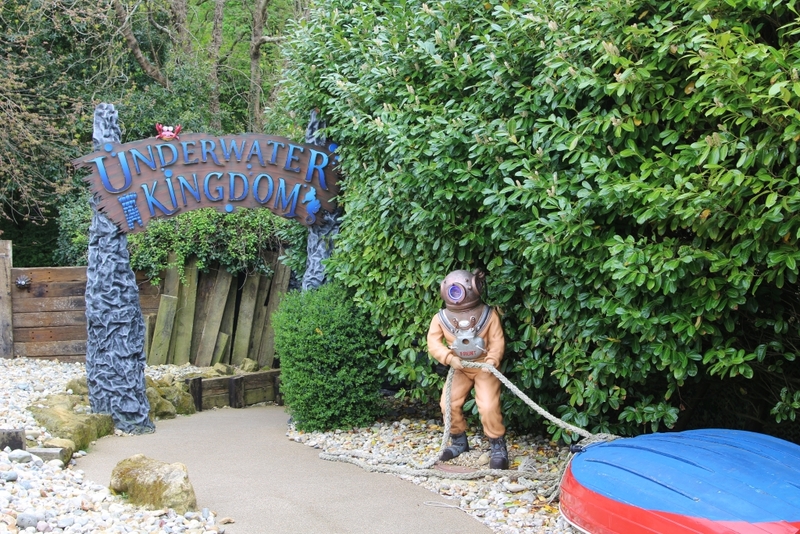 and some much newer, like the Underwater Kingdom unveiled last year in which you have to find the escaped crabs. Also new is a whole exhibit full of true-to-size animatronic dinosaurs. 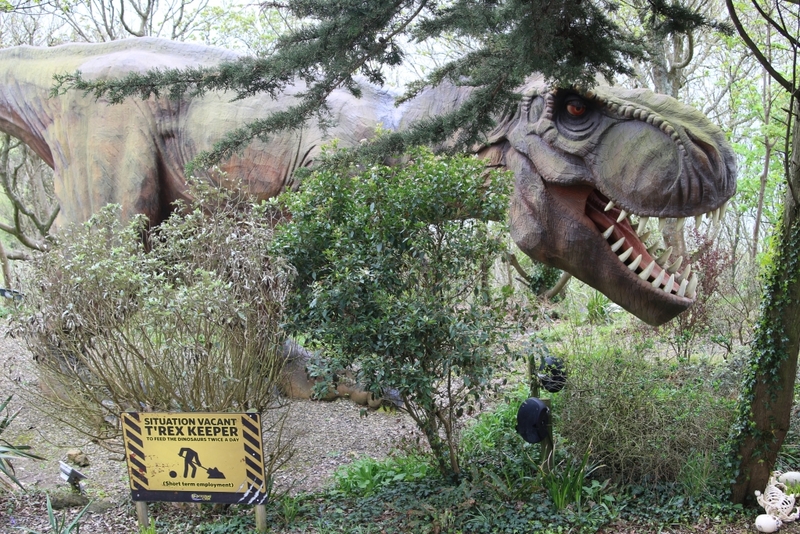 It’s a very well done and entertaining with amusing signage for the older crowd, and a great attraction for a little dinosaur lover (although I did have to assure my oldest they weren’t real). 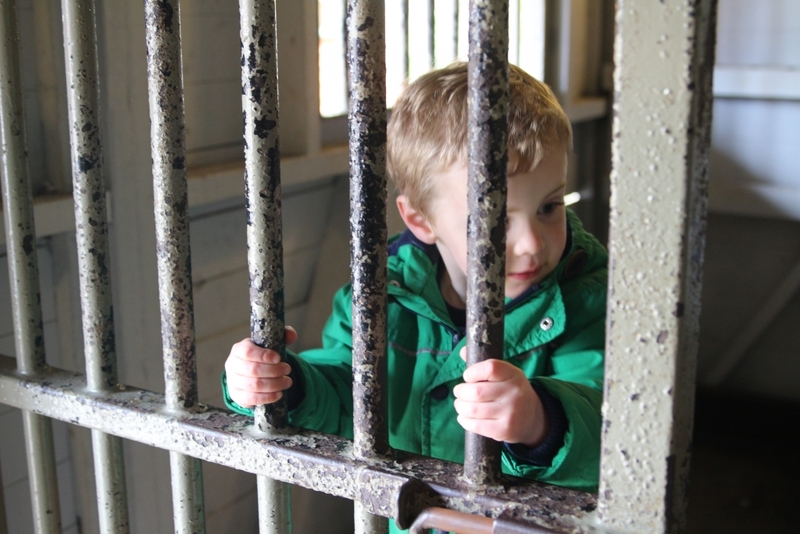 …And Dodo Valley which, I won’t lie, was one of the weirder experiences of my life but the children loved. 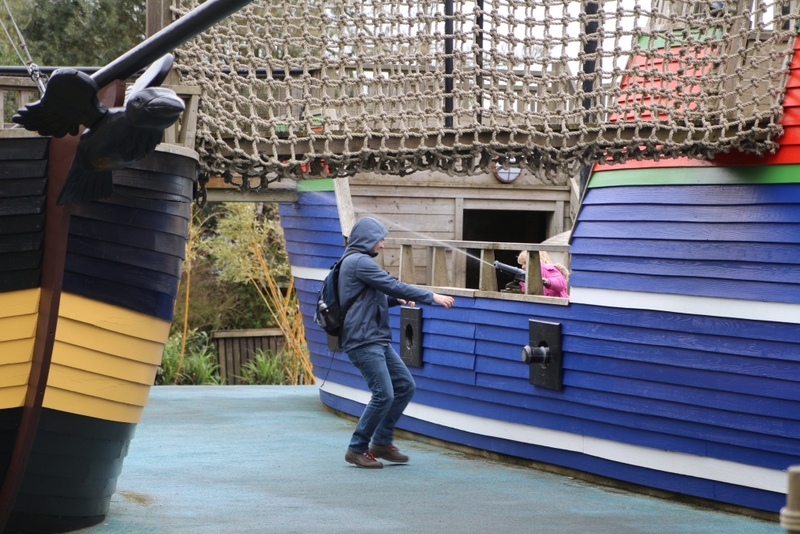 As well as the different lands (which you can see on the park map here) are also a few rides; a water flume and rollercoaster for children over 1.1m and a pirate ride for younger children. There is also a hall of mirrors, and of course a restaurant, cafes etc. Because we were there out of season, we bought three off-peak tickets on the day for £20 each. During peak time, it’s slightly more expensive (see all ticket prices here). 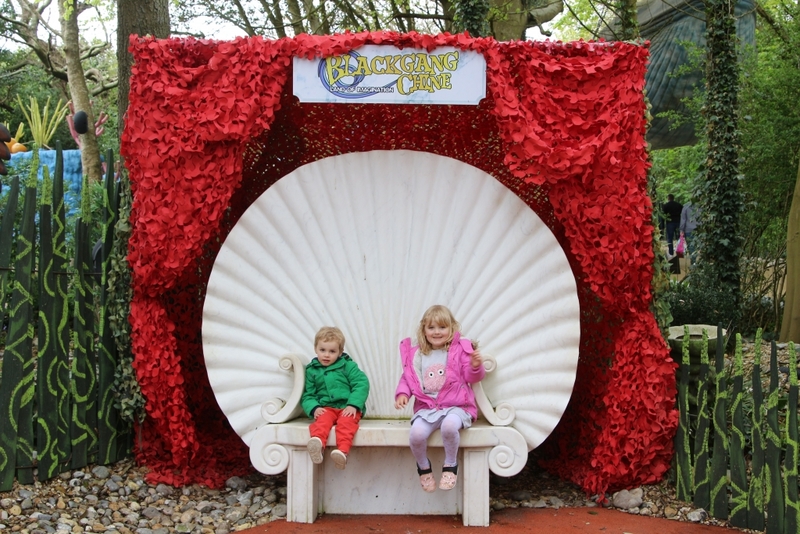 Blackgang Chine isn’t a cheap day out, but it’s definitely a full one! All in all, we were there just after it opened and left shortly before they had to kick us out. 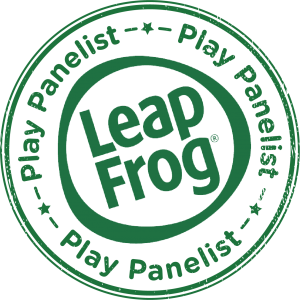 The children loved it; at 4.5 and almost 3 they are the perfect age for a lot of it and I’d recommend it without hesitation to families with children of similar ages. Possibly the tackiest place on the island, Sandown Pier is a great place to go if it’s absolutely piddling it down as it was on our final morning in the Isle of Wight. Although we initially went there in search of soft play (god help us) it wasn’t open; I have it on good authority that it never really is. However there are a lot of 2p machines to plunge your life savings into, a mini golf, a bowling alley and a caf from which you can watch the wind and rain battering the beach while you have a cup of tea and a sausage roll. Thank you to Island View Holidays and Aria Resorts for providing our accommodation on the Isle of Wight. 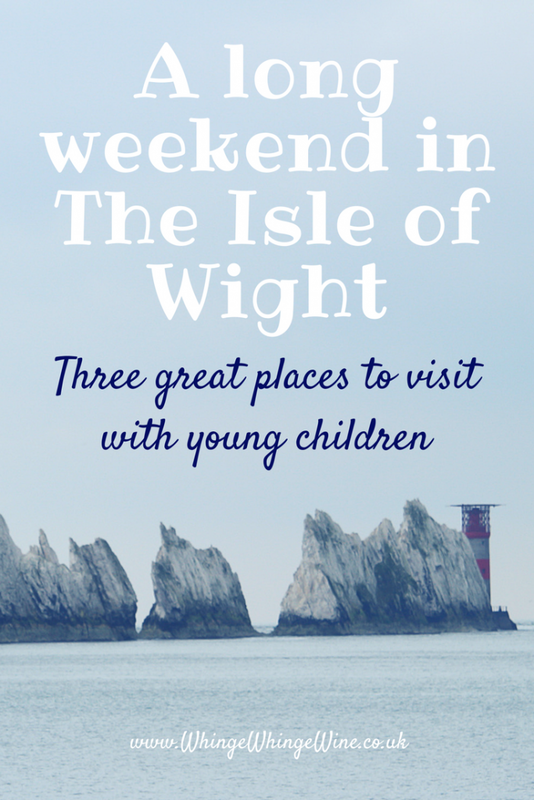 If you’d like to stay and explore the Isle of Wight, go here to book.